Midway through the 2017 NASCAR season ECR Engines has already notched two Monster Energy NASCAR Cup Series wins with Ryan Newman and Austin Dillon scoring victories at Phoenix International Raceway and Charlotte Motor Speedway. The two wins have positioned Chevrolet to make a run at the NASCAR manufacturer’s championship again in 2017; an award Chevy has won 14 times since 2001. But perhaps a more impressive feat thus far in 2017 is ECR’s success in the IMSA WeatherTech SportsCar Series where through five races Cadillac Racing has won all five events and has secured 11 of 15 available podium places. The three Cadillac prototype cars competing in 2017 are the No. 10 Konica Minolta Cadillac DPi-V.R, the No. 5 Mustang Sampling Cadillac DPi-V.R and the No. 31 Whelen Engineering Cadillac DPi-V.R. Wayne Taylor Racing’s No. 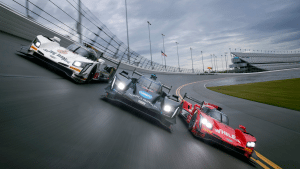 10 Konica Minolta Cadillac kicked off the 2017 season in a big way at the Rolex 24 at Daytona in January taking Cadillac to Victory Lane for the first time as the overall winner at Daytona International Speedway. Cadillac followed up the Rolex 24 victory with impressive wins at Sebring International Raceway during the famed 12 Hours of Sebring, Grand Prix of Long Beach, Circuit of the Americas and Detroit Belle Isle Grand Prix in the shadows of the GM Ren Cen Towers in downtown Detroit, Michigan. “Cadillac has achieved unrivaled success so far this season and ECR is proud to be given the opportunity to play an important role in winning five races and collecting the impressive count of podium finishes through five races. What gives us the most amount of pride is the reliability of the engines themselves. 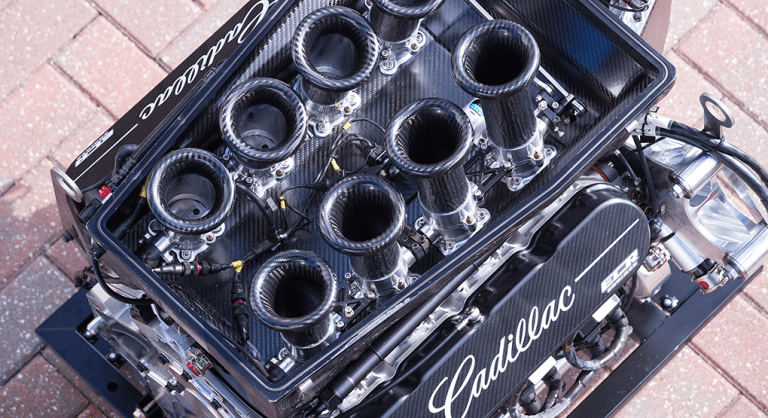 We’ve seen few issues in competition thus far with the Cadillac engines and none which we haven’t been able to overcome to allow for a rapid return to on track competition by each of the three current Cadillac DPi-V.R teams.” Goble said. 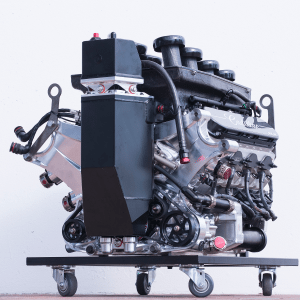 ECR Engines has been a key part in the securing of three consecutive IMSA Series Prototype Engine Manufacturer’s Championships from 2014-2016. With five races remaining in the 2017 season, Cadillac Racing and ECR are primed to continue this streak of winning the coveted Manufacturer’s Championship on behalf of everyone at Cadillac.